The archetypal trekking boot – Hanwag Alaska GTX is an absolute classic suitable for trekking adventures all over the world. 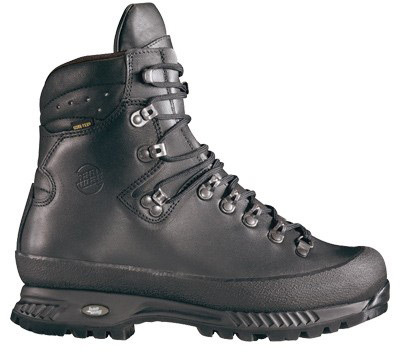 Guaranteed fit and guaranteed waterproof, this boot is built to withstand the roughest conditions. Features 100% breathable Gore-tex lining, full rubber rand for ultimate stability and durability, and a unique ball-bearing lace system to customize secure ft. The Vibram Fuora outsole provides amazing tread and support while the PU shock absorber keeps you light on your feet.